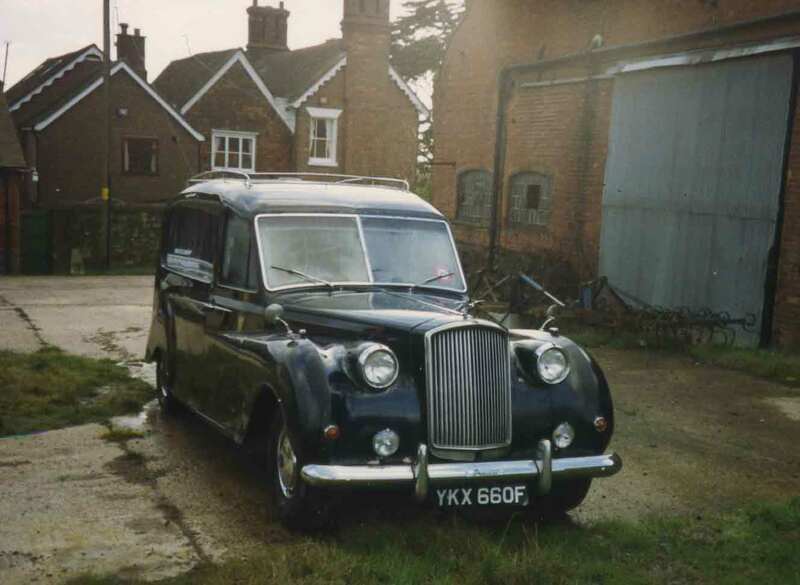 "The Vanden Plas Princess Hearse - 4 litre straight six"
Damien DeVille owned this Vanden Plas Princess hearse from February 1986 to December 1999. He customised the interior by removing the bier and fitting thick underlay and carpets, wood panelling, an 8 speaker stereo system with pre-amp, 3 mahogany curtain rails and 8 custom made thick velvet curtains. He blew the head gasket on 3 occasions. rebuilt the engine along with one of his neighbours. He fitted a new water pump, 2 thermostats, 1 hydraulic ram, 3 windscreen wiper motors, 1 new piston and O ring and a starter motor spring. The cylinder head was skimmed at Sutton Rebore twice. New valve guides were fitted my Mr DeVille and he even gound in the 12 valves by hand using a lapping tool and grinding paste. 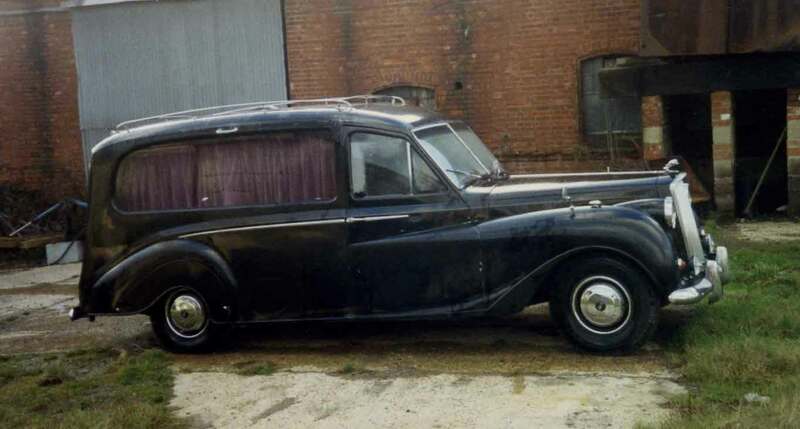 Gig-wise, NOSFERATU used this hearse for early Nosferatu UK Tours in 1991 & 1992 and even drove it through the night to Paris for a halloween concert in 1993. 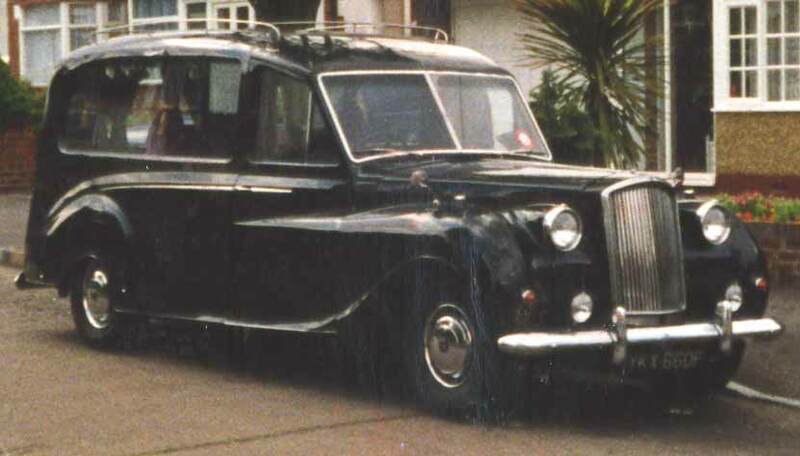 It was put into storage at a farm in Redhill in 1994 and used sporadically up until the engine seized in 1999. It was then sold to Introcar for spares.